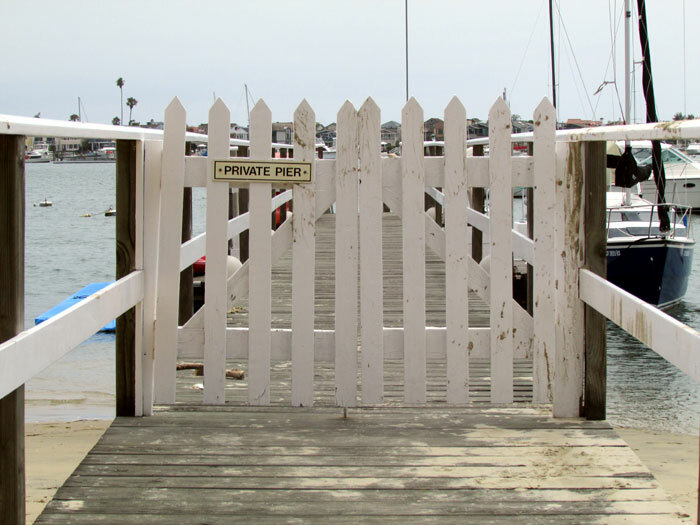 NEWPORT BEACH — Private dock and pier owners and renters are invited to discuss their concerns about the city’s new fee structure and “rent” calculations during Public Pier Fees Implementation Review Workshops scheduled for Aug. 15 and Aug. 21. The meetings are being held in accordance with the Newport Beach City Council’s commitment to review the implementation process that the city began earlier this year for charging new fees for residential and commercial piers. “Specifically, the city council is interested in the public feedback received as staff was calculating the square footage used for rental charges,” according to a notice issued by the city. In December, private dock permit fees were changed from the former annual $100 residential pier fee to a 52.5 cent per square foot charge, leading to a new annual charge for a majority of piers – which currently averages $300 to $700 for most residential docks and piers. Owners of larger residential piers now pay as much as $3,000 per year. The meetings will give the public a forum to discuss the implementation component of the pier rental changes. City staff members will review feedback received at the meetings with exhibits depicting examples where improvements in the process could be made. Exhibits can be viewed online at newportbeachca.gov/index.aspx?page=2234 — or at the city clerk’s office, at 100 Civic Center Drive. Currently, if pier owners continue to have a disagreement with the fee calculations after discussing the issues with Harbor Resources personnel, they can appeal the decision by requesting a hearing through the city’s administrative hearing process. The form-filing fee for one of these hearings is $100. Bob McCaffery, chairman of the Newport Beach Dock Owners Association, a group of citizens and business owners behind the Stop the Dock Tax campaign, said he intends to discuss new findings at the workshops. According to McCaffery, in working with his legal team, they have discovered that bills from the Orange County tax assessor have “a line item in reference to our docks,” he said. “Year over year, our docks have been itemized and taxed by the assessor. The city gets 17 percent of that money. The first meeting is scheduled from 3-5 p.m. Aug. 15 and a second meeting will be held from 6-8 p.m. Aug. 21 — at Oasis Senior Center, 801 Narcissus, Corona del Mar. Comments can also be made via email to Harbor Resources manager Chris Miller at cmiller@newportbeachca.gov; or by calling (949) 644-3043.